FreshBooks is incredible cloud-based accounting software. It is used by many small-business site owners to send invoices to their clients quickly and efficiently. With this tool, you can create professional looking invoices of your work, embed your own logo, and send it to your clients via email, download a PDF or print it in a matter of few minutes. Why people are choosing an alternative to Freshbooks? Undoubtedly, FreshBooks is an efficient tool, but still, most of the users are looking for its free alternatives. FreshBook’s users often face difficulties while creating and generating invoices for their clients. Well, there are lots of benefits associated with using FreshBooks that you need to consider while looking for alternatives. Provide payment notifications to clients, along with the due date or over date alert to billing date. You can use this feature when you don’t want to send a series of invoices of the same work over and over again. FreshBooks is one of the most reliable tools for creating, managing and modifying unlimited numbers of invoices. It is simple, intuitive and time-saving. You can easily send invoices, track time and log in expenses in a matter of a few minutes. It comes with robust customer services. This means you can take some expert reviews or customer reviews about the product/service you are going to buy. Now let’s explore the ten most promising alternatives to its cloud-based accounting software. The most reliable and up to date billing alternative to Freshbooks. 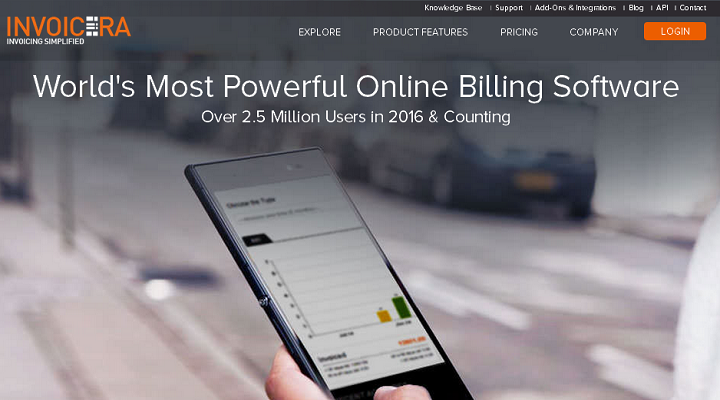 Bullet is a fast and easy to use cloud billing software that can be accessed anytime, anywhere, on any device. It’s a great tool for collaboration with your team, with real-time updates across multiple devices, while creating invoices, proformas, quotes or delivery notes. You can track your sales, check your stock levels and save lots of time with email and printing features straight from your browser. The new version is compatible with GST/composition scheme for India or any other international tax system. All your data is securely stored in the cloud and your connection is encrypted. A must have invoicing software for business owners. Create and send professional looking invoices, along with your company’s logo, trademarks and other details to your clients in minutes. Handdy makes the business accounting process swift and convenient. You can send invoices through emails or print as PDF without a hassle. It lets you receive payments online via PayPal or credit card. It comes packaged with a lot of advanced features such as invoice tracking, supports different languages, multiple payment options for clients, invoice open alert, etc. It offers 21 ‘Pay Me Now’ standard features that you can add to your invoice in order to make the payment quickly and efficiently. Invoices, bills and clients, all in one place. Tradeshift is an invoicing, billing, and expense reporting app with a twist. It helps you perform several of the tasks you would expect from a software solution of this type; such as automating your expense management processes, monitoring cash flow, and providing you with an overview of how your business is doing. Tradeshift also keeps track of the transactions you make with your clients, including invoicing. The twist is this: Elorus provides a private portal that invited clients can use to download invoices, check over their transactions, and make payments. Your clients will love this feature; as will you. Better Invoices is also a simple and reliable invoicing Software on the web. It enables site owners to create and manage invoices, without any complexity. You just need to follow some simple steps and send beautifully looking invoices via email in seconds. Fill the details, along with your work description, and click on ‘Send Invoice’ and your invoice will be sent to your client. It accepts online payments via PayPal and other reliable payment options but for that, you need to sign up to the Better Invoices. The security of Better invoices is set up at higher standards. It is packed with 2048- bit encryption that automatically increases the security of your online payment procedures. Invoicera is one of the best replacements of FreshBooks. With over 2.5 million of website owners are using this software. Invoicera holds unique approach to online invoicing technique. You can send professional invoices in a matter of few seconds by using the web or mobile. It lets you receive online payments, generate reports like a breeze. You can even use their app to send invoices in real time. It comes with fully customization plans at an affordable pricing. It supports multi-languages and currencies. Moreover, Invoicera offers customized API for additional enhancements and integrations. 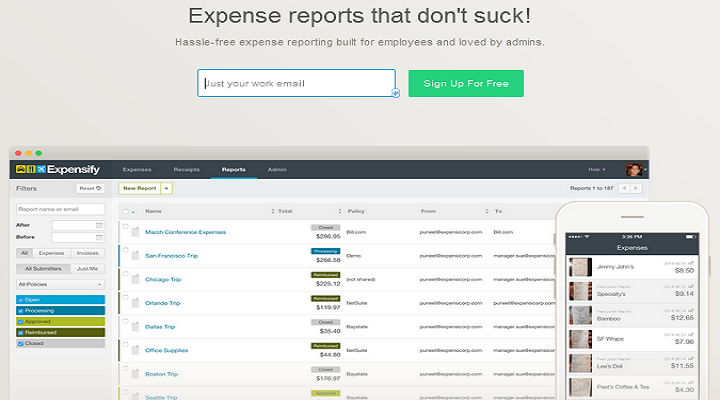 Another straightforward tool for creating and managing professional looking invoices. Expensify simplifies the procedure of receiving online payments in different ways. It offers a direct bank transfer feature, along with 160+ acceptable currencies to uplift the level of this software. Despite this feature, you can also manage expenses made by your employee with ease. You can easily import a list of card transaction at a single place that can help you analyze data sets and focus on your business goals. Inveezy is a simple, powerful, fast and free online invoicing and billing tool. Visit inveezy.com to send an invoice without signing up for anything! Just fill out the invoice and click send. No registration or monthly fees required. It’s simple, it’s very fast, and it’s something that you’ll come back to for easy invoicing! Invoicing is EASY with Inveezy.com. No login and no sign up required. Visit and send a 100% free invoice today! Create & send invoices and track online payments with this robust online invoicing software. Blinksale comes with an intuitive interface that lets you design invoicing quickly, efficiently and effortlessly. The web presentation of this tool is enticing and looks appealing as compared to other online accounting software. It offers a variety of invoice designs and thank you notes, so you can customize the look of your invoices the way you want. Xero is an ideal online accounting and invoicing software for small businesses. 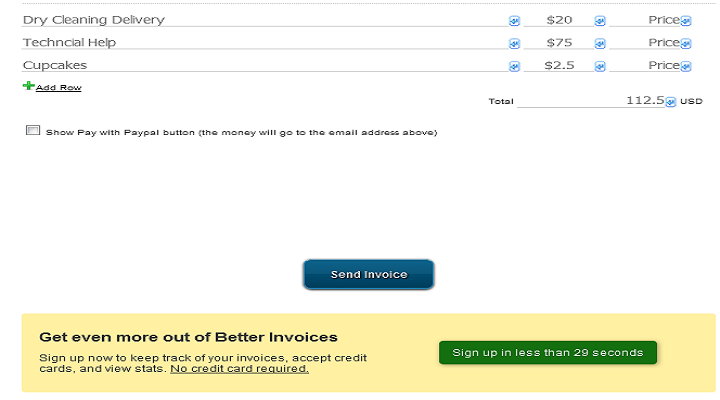 Creating and sending professional looking invoices become easy with this user-friendly tool. It comes with a comprehensive interface that supports highly interactive charts and graphs. You can access the Xero’s framework from different devices and screen sizes and see upgraded financials. Save time by using its mobile application to create and send invoices from anywhere. Xero lets you import, and categorizes your latest bank transactions like a flash. It offers a ton of advanced features such as responsive framework, supports multi-currency, create a purchase order, track time, expenses and mileage with ease and a lot more. A simple tool used for tracking time, sending invoices, and receiving online payments like a breeze. Ronin is an amazing online accounting and billing software for small businesses and freelancers. You can use it to create beautiful and customized invoices and send it to your potential clients. It accepts online payments via PayPal, Stripe, and Authorize.Net. Even, you can send invoices and estimates in multiple languages and currencies. It makes it easy to set up recurring invoices with custom time intervals. Essentially, Ronin is an excellent replacement of Freshbooks that can help you create, send and track invoices and estimates without any hassle. These are the top 10 alternatives to Freshbooks for 2019 that you can try for customizing and sending invoices and estimates to your clients. Wonderful and useful list for invoicing software. I also recommend quickbooks Online software for invoicing. PayPanther is a really good option. As a brand new small business owner, Slickpie(www.slickpie.com) free accounting software has been a lifesaver. It helps me organise my expenses, send invoices, and accept payments. So easy to use and a huge time saver. You have really done well about alternatives. I wish to suggest one more name to improve this list, as I’m using the SlickPie, Finance & invoicing software. It helps me a lot in the way of automated data entry, Online invoicing, instant bill payment and much more. You missed one more name Outright, accounting software. It helps for small business houses or for self employed with online bookkeeping. Please add this to your list. Slickpie(www.slickpie.com) is the best way to do accounting. That allows me to manage all my invoices easily and track my customers. With its integrated time tracking and advanced follow-up functionality, it makes it the easiest tool. Conveniently, it also provides an expense tracking option so I attach expenses immediately to the client I am working with. 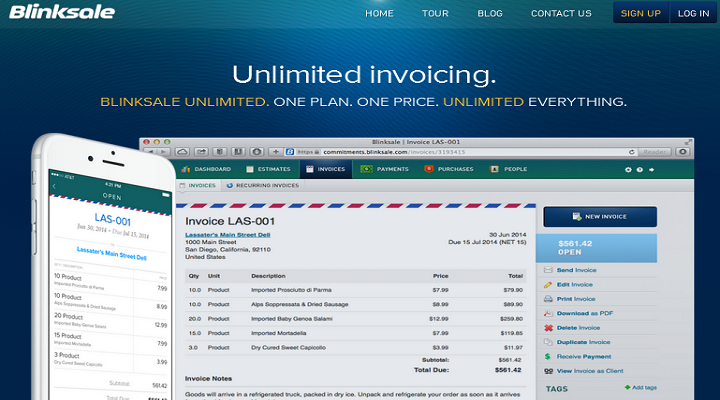 I suggest “XERO” as best online invoicing software, its for those who needs easily customizable invoices. Here I disclosed about invoicely (https://invoicely.com/), invoicely is free, simple and secure invoicing for small businesses. To improve this list, please add one more invoicing software name “waveapps” . By using this easy to send invoice in multiple ways. If you are a small business enterprise and looking for a phone support online version or Android app invoicing software, then billingsoftware is a great platform for online billing. It’s affordable also. 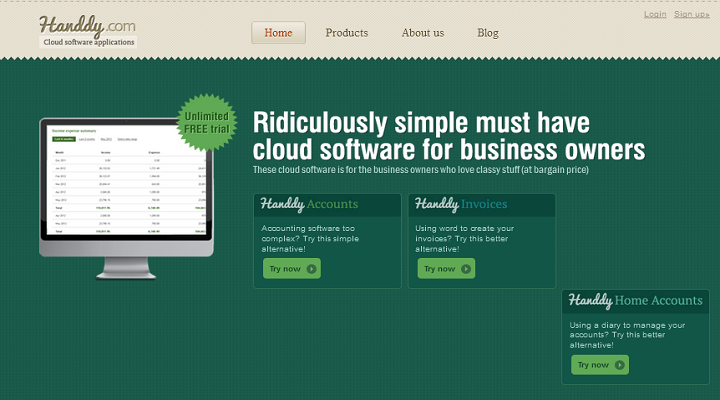 Handdy is affordable and perfect invoicing software for small business as compare to Freshbooks. Very thankful to http://www.technobeep.com/ to add this. Please add one more name RONIN accounting software, it’s a combo for invoicing, time tracking, and client management services. I like Invoice Machine, with the help of this it’s easy for me to send invoices and estimates and time tracking, but it has some limitation like the free accounts only permit sending a maximum of three invoices and three estimates per month. The list is pretty amazing!! I suggest Invoicera, as it is most useful Online invoicing software. When you will go through their website you will find the relevant and catchy invoice templates for specific businesses. I’m disclosing here one more name is Sighted (https://www.sighted.com/). Its affordable and customized invoicing software. Your list no doubt is amazing! Check out QuickBooks (https://www.quickbooks.in/invoicing/). It makes invoicing easy, You can schedule invoices to be sent automatically to your customers. Sighted (https://www.sighted.com/) is best alternative to FreshBooks and ZOHO For Invoicing. Fast, affordable and mobile-friendly use makes it the first choice. You should try the Nutcache (http://www.nutcache.com/). It allow you to send the unlimited invoices so you can collaborate effectively. You missed one more name, which you can add to your list that is (https://www.waveapps.com/invoice/). It is completely trustworthy. Hiveage, is online invoicing and billing software. Small business saves up to 80 hours per month with Hiveage. Hiveage is One billing solution for all your business needs. Your tips always working for me. These are very relevant and useful. Xero helps small businesses, work efficiently and 30 day free version available with 24/7 customer support. Thanks for your useful list. I want to add some Best and Cheap alternatives to freshbooks for invoicing. this tools are expensive invoicing tools. Thanks Matt for this great list. I’m just cusrious if you have used InvoiceApp(https://getinvoice.co). I feel it’s a great alternative to Freshbooks with more simpler navigation and user experience.